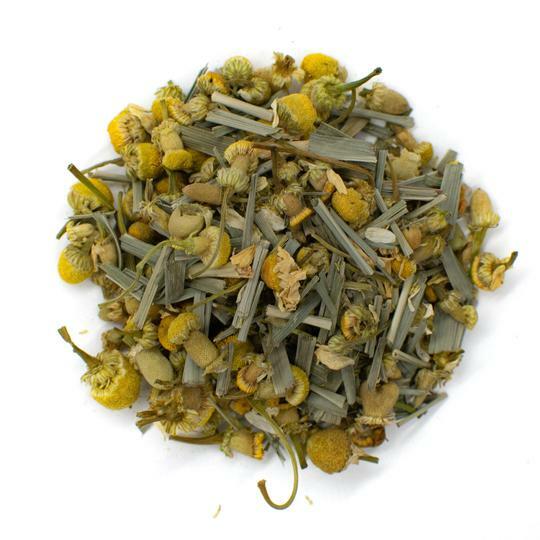 Drinking tea should be an immersive experience and what better way to enjoy a delicious herbal than to select one that is as beautiful as it is tasty. 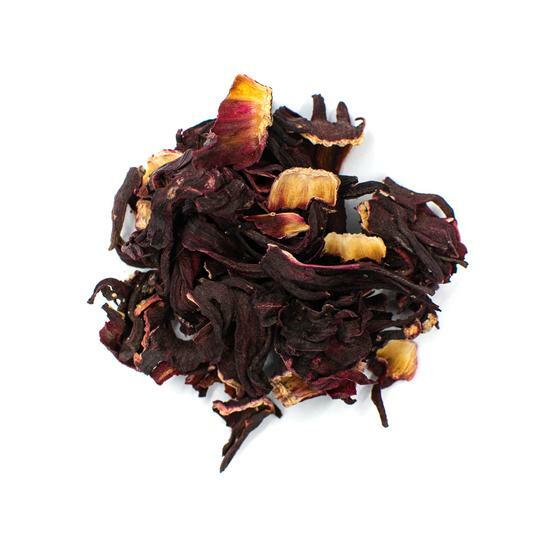 Hibiscus tea, known as sorrel in the Caribbean or as Flor de Jamaica in Mexico, Central and South America, is a beautiful, deep magenta tea with fruity flavors. Whether you prefer your hibiscus tea hot or cold, you'll need to follow a few basic steps to brew the perfect cuppa. Simple yet delectable, this tea is easy to make. There are tons of easy recipes to make hibiscus tea your own whether you are a tea master or just exploring new tea flavors for the first time. Read on to find out more about hibiscus tea and the proper method for brewing it. Hibiscus tea is an herbal tea made from the petals and sepals — the green plant part found just below the petals — of the hibiscus plant. There are several hundred different species of the hibiscus plant, although the dried flowers from the Hibiscus sabdariffa plant are most common for teas. Hibiscus tea is popular around the globe and is used as a medicinal tea in Ayurveda and Chinese medicine. Studies have shown that hibiscus tea has potential health benefits including lower blood pressure, cancer prevention and anti-inflammatory properties. Packed with vitamin C and antioxidants, this visually stunning tea is an elixir that can help you live a healthier lifestyle. Hibiscus tea tastes fruity, sweet, sour and astringent. The tart flavor is similar in taste to cranberries and this tea can be consumed both as a hot beverage and as a cold iced tea. 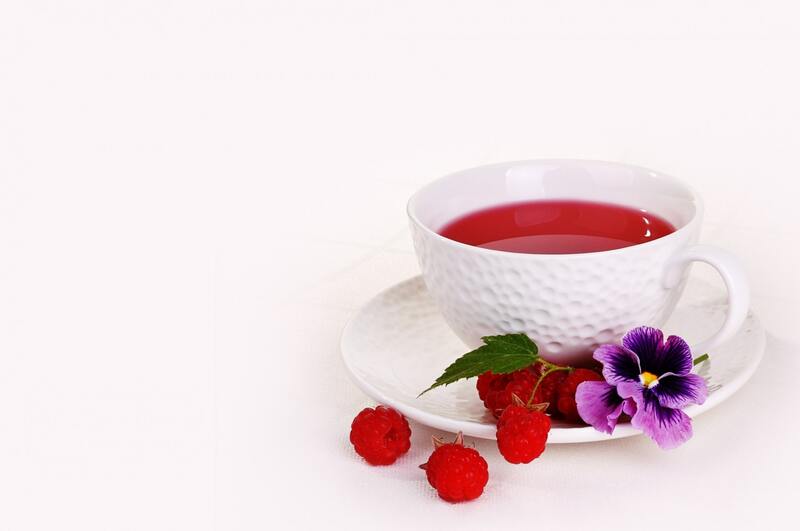 Recognized by its vibrant ruby red color, this tea makes a beautiful addition to an afternoon tea party or a complementary beverage to a morning sunrise. Hot hibiscus tea can be brewed using your favorite hibiscus tea bags or loose-leaf dried hibiscus flowers. Dried flowers can be purchased at your local grocery store, health food stores and online or you can use hibiscus flowers from your own garden. To make hibiscus tea, use the following guidelines for a perfect cup every time. 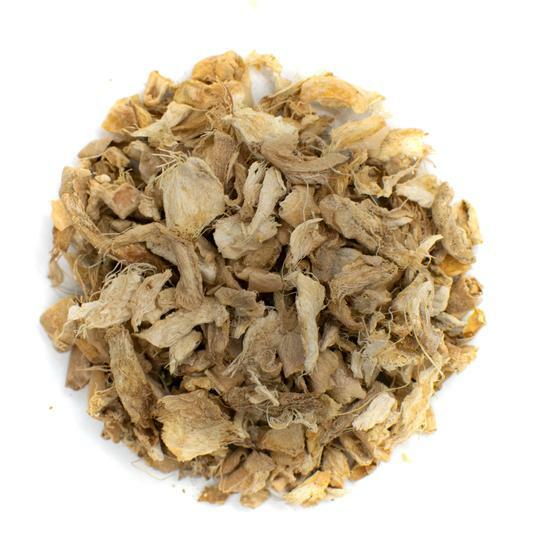 If you are using pre-dried hibiscus flowers, you can skip ahead to step 2. If you would like to use fresh hibiscus flowers from your garden, you'll need to harvest and dry the petals before brewing your tea. You can harvest large amounts of hibiscus flowers and store the dried petals in an airtight container for multiple uses. It will generally take about eight to 10 petals for a standard pot of tea. Harvest the hibiscus petals and sepals when the flower is in full bloom by removing the calyx — the bulb-like part of the plant between the flower and the stem. Make sure to only harvest from hibiscus plants that are free from chemicals and pesticides for the best-tasting and healthiest tea. Remove the stamens — the stem-like filaments with yellow pollen pods in the center that give hibiscus flowers their distinctive look — from each flower and soak the flower petals in a bowl of water to eliminate dirt and dust. Set petals on a drying rack outside in a dry, sunny spot. You should allow the petals to dry completely, which can take anywhere from three days to one week depending on temperatures and humidity. Alternatively, you can use a dehydrator indoors if you live in a cool climate or want to make fresh hibiscus tea in winter. Once the petals and sepals are brittle and begin to crumble, you can use them to make tea. Add hibiscus flowers to a teapot for brewing. Aim to use about 2 teaspoons of flowers for a standard-sized teapot, but you are free to add more for a stronger flavor. Bring water to a boil in a medium saucepan and pour the hot water into the teapot. Allow the hibiscus tea to steep for about 5 minutes for a fully developed flavor profile. If you prefer a weaker flavor, let the tea steep for 2 minutes and taste in 30-second intervals until your desired flavor is reached. For stronger hibiscus tea, allow to steep for more than 5 minutes, tasting every 30 seconds. Some teapots feature built-in strainers. If yours does not, simply pour the tea through a fine mesh strainer and into your cup. Hibiscus tea can be consumed as-is or you can add a sweetener such as simple syrup or honey. Serve with a lime slice as garnish. You can make hibiscus tea into summertime refreshment by brewing it cold instead of hot. Known also as cold brew Jamaica, hibiscus iced tea is a satisfying, tart beverage that can help cool off even the hottest afternoons. Hibiscus iced tea recipes are just as easy as hot versions, but they do take longer to brew. Use the previous steps for drying your own hibiscus flowers or start with pre-dried ones. Add the hibiscus flowers to a large pitcher and combine with cold water. Use about half a cup of dried hibiscus flowers for every 4 cups water. Since cold water takes longer to develop and infuse flavor, you'll need to steep your iced hibiscus tea for 8 to 12 hours before serving. You can leave the pitcher uncovered or add plastic wrap to prevent crumbs from contaminating the tea while it steeps. Strain the steeped tea using a strainer or sieve and serve in a chilled glass over ice. If you wish to sweeten your hibiscus iced tea, it's best to avoid cups of sugar and honey since cold water doesn't blend the solids well. Instead, opt for 2 tablespoons to a 1/4 cup of simple syrup depending on preference. Garnish and add more intricate flavor profiles by adding cinnamon sticks or lime juice and garnish with mint leaves and lime wedges. Hibiscus flowers can also be used to make hair and skin oils. Make hair oil by grinding hibiscus flowers into a paste and combine with coconut oil. Simmer on low heat for 5 minutes and allow infusing for 48 hours. Filter using a fine mesh sieve and store in an airtight glass container. Alternatively, you can use brewed hibiscus tea as a hair rinse or shampoo. Enjoyed both hot and cold, this beverage is the perfect complement to garden events, backyard tea parties and sumptuous mornings. Naturally free of caffeine, hibiscus tea is a delicious beverage that can be consumed morning, noon and night without worrying about altering your sleep or energy patterns. Hibiscus iced tea and hot brews are delicious herbal infusions that can brighten up the day. Some teas fit right in at fancy brunches and events and hibiscus is one of them. With a gorgeous crimson color, this tea adds an eye-catching element to any event or afternoon tea with friends. Simply print your favorite drink recipe and add to your tea-making repertoire with this delicious herbal infusion.